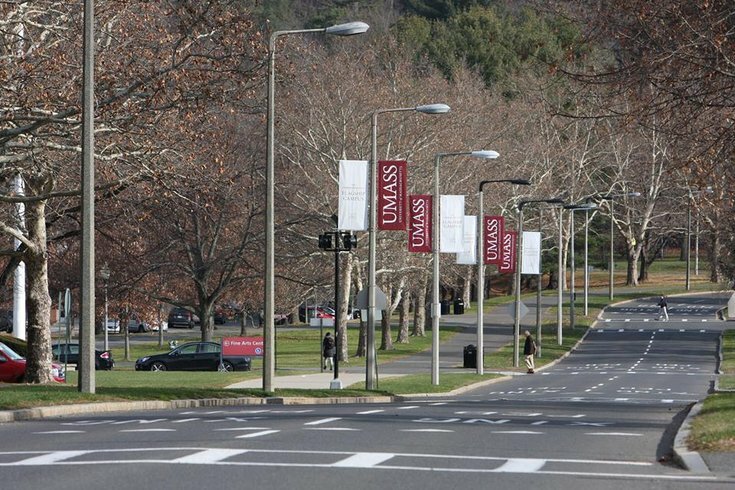 Pictured is the campus of the University Massachusetts Amherst. Six people were arrested and at least 12 people were injured in a post-Super Bowl riot at the University of Massachusetts Amherst on Sunday night. The school said in a news release that around 2,000 students had gathered on campus around 10 p.m., not long after the Eagles defeated the Patriots in Super Bowl LII. Fights broke out, firecrackers and smoke bombs were set off, and people were transported to the hospital for head injuries, lacerations and alcohol intoxication. Police issued multiple orders to the crowd to disperse and eventually used projectiles to break it up around 11:30 p.m. Authorities are pursing criminal charges against those arrested and the school plans on reviewing the matter as it pertains to the student code of conduct. Videos from the scene show UMass students chanting "f*** the Eagles." Sore losers, I suppose.